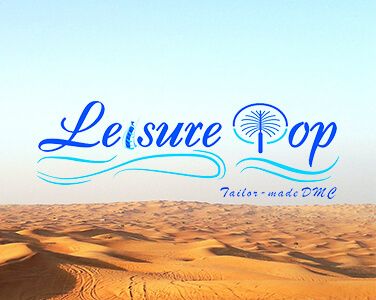 Leisure Top Tourism — a private limited liability company has been founded and registered in 2012 in Dubai, UAE. We pride ourselves on our reputation as committed inbound travel professionals. Leisure Top Tourism is a team of travel professionals who have been in the market for years. Our main specialization is inbound tourism and we work with both leisure and groups. Our services are available 24 hours of the day to ensure that all our clients receive a high quality service, matching international standards. Our Mission is to provide excellent service to each of our customers and partners. We commit ourselves to continual improvement of our processes and compliance to requirement during execution of our business. Our Aim is to provide value-based services with reliability and responsibility towards our travel partners who trust us with their business. We provide cost-effective prices, combined with transparency & honest advice to our partners. Through our local experience, destination knowledge & network, we support our clients with destination guidance and information, and act as their representation in Dubai & UAE. We look forward to long-lasting, mutually beneficial relationships with our valued partners. Dubai is a prime location for all MICE requirements with superior infrastructure and facilities. We guarantee value for money and that all events will run successfully. Our incentives specialists are experts in organizing innovative staff reward schemes and motivation competitions for your valued clientele’s incentive groups. Our dedicated staff is always ready to assist. Leisure Top Tourism being a reputed in bound tour operator we treat our buyers and suppliers with the same efficiency and hospitality as our valued holiday.